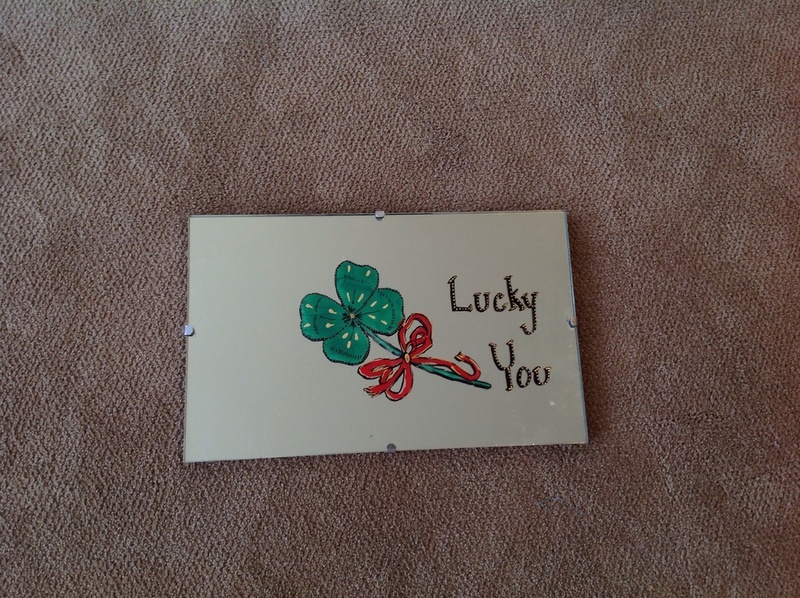 I wanted to make a little mirror I had into a cute St. Patrick's Day themed decoration.. I went to my go-to Graphics location, thegraphicsfairy.com and printed off a sweet shamrock illustration. I chose this because I wanted to be able to display it year round. I didn't want leprechauns or pots of gold. So here are the steps I took using my wonderful Van Gogh Paint. The idea I had was to create a stencil using the graphic, painters tape, a sharp blade, Van Gogh paint and 2 Paint Pens. Select the two items. I used a small mirror and this graphic. Using blue painters tape, tape the entire surface pressing down firmly as you go. You're going to cover most of the mirror. Now, tape the graphic in place. It's a good idea to have a second copy on hand for reference later when you start painting. I cut out the red bow but did not remove the blue tape until after the shamrock was painted and dry. Keep one side of the graphic taped in place creating a hinge so that it is perfectly aligned as you're working. This way you can check your progress and not have to realign over and over, it stays in place with this hinge trick. After I painted the large parts with Van Gogh, I removed all the tape and went in with Paint Pens to add the finer details. Notice that the black is a medium tip and the gold is fine tip. I traced around all the edges with black then went back in and added the gold. Be patient here and have some scrap paper on hand to clean up pen tips as you go. I bought these at Hobby Lobby, they really bring the project to life. It turned out really cute. I tried to photograph it without showing the reflection. I added "Lucky You" because I thought that would be a more year-round saying. I just free handed these letters. I didn't want to get too fussy with cutting around letters. Here it is hanging on the wall. So cute!! foyer, guest room or kitchen. Be careful when cleaning once you've painted a mirror. Using harsh chemicals will strip the paint. I just use a soft cloth for dusting and it works out great. 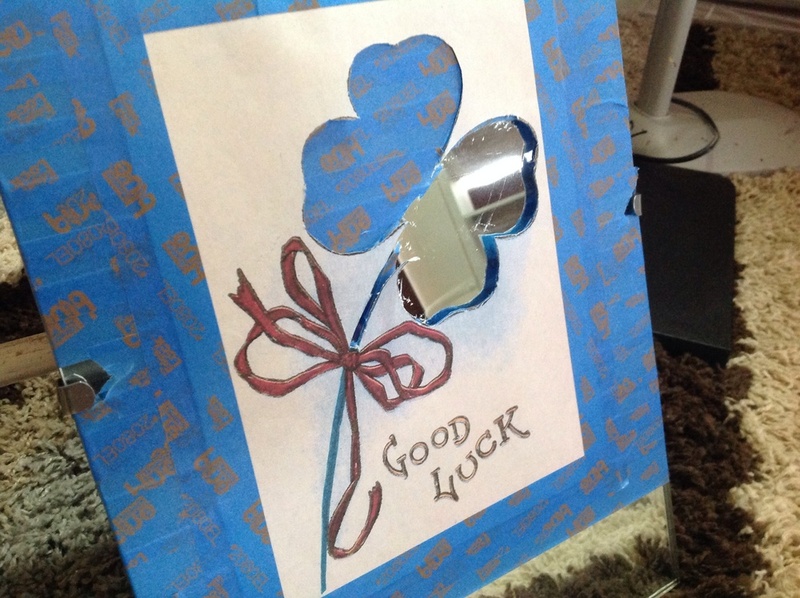 Enjoy making a cool project of your own!